Add family photo or any image of your choice to complement your interior! The Smart Home Switch where art meets technology! 8 mm acrylic sheet to strengthen product & to protect the hi-tech hardware. It fits in your existing conceal box and because of its simplicity no wiring change needed. For any dearest moments captured in image, L’etoile Smart Home Automation gives you freedom to express your imagination. 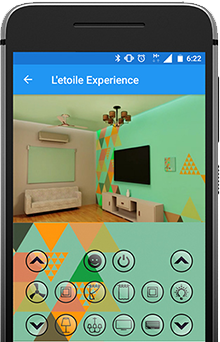 L’etoile Smart Home Automation has tie-ups with artists, photographers, designers. You can use their work and add elegance to your interior with Personalized Switch. 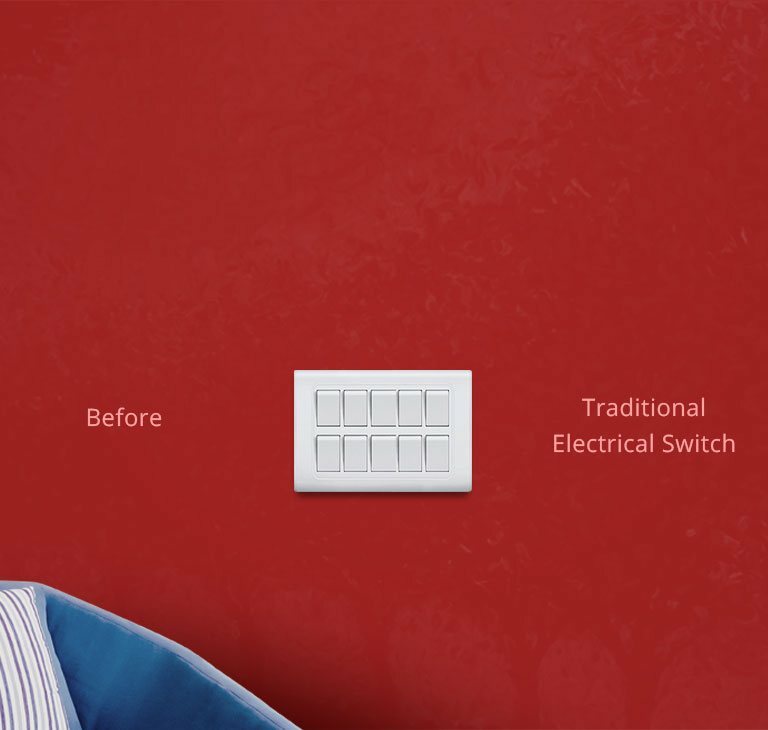 Select any size from 10 different sizes for the smart home switch suitable for the interior of your room. Select ready-made combinations of buttons (presets) for your living room, kitchen, bedroom etc. Upload your favourite image or choose from our Artist Gallery. 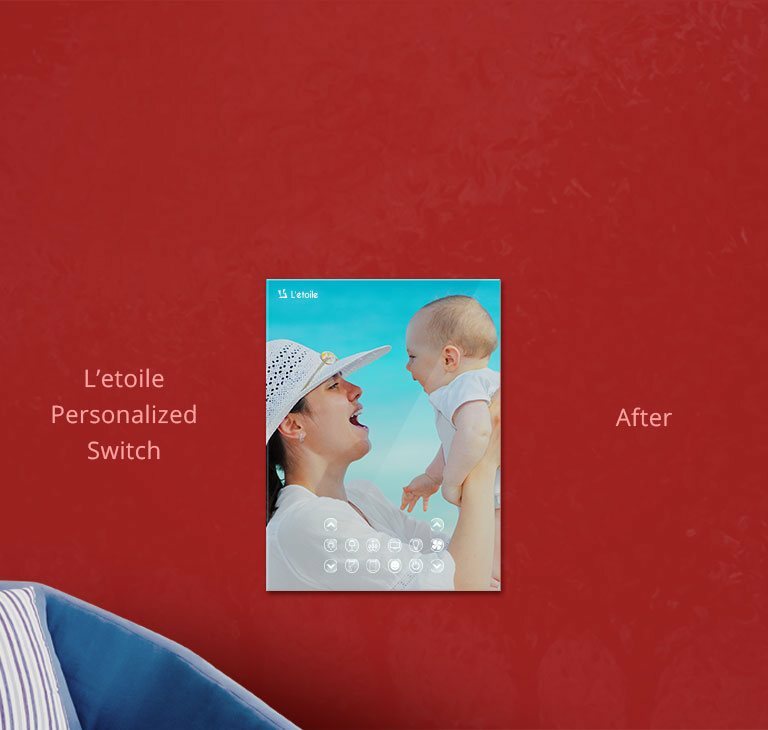 After saving, you can order the switch you have designed and enjoy awesome L'etoile Smart Home Automation Smart Switch! Note: Please use desktop or laptop to design and buy your own switch. Smart Switch Available in 10 Different Sizes.